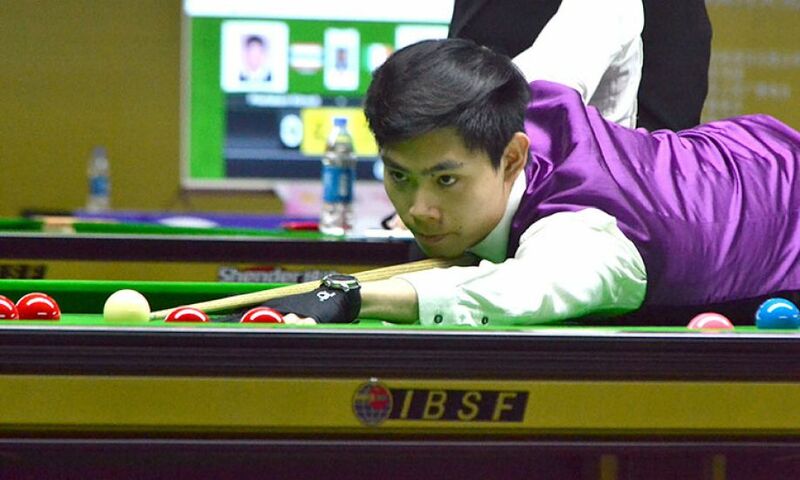 Under-18 World Snooker champion Guo Qiang He of China made his career’s first ever maximum break 147 today in his group stage match of 2018 IBSF World Under-21 Snooker Championship here in Jinan. In the third frame of his match against Reggie Edwards of England, first he gave away a foul of 7 points and after that on first opening he went on for clearing the table with all blacks to score 147. Aaron Hill of Ireland also made a century break of 123 points while playing against Jia Hui Si of China and won 3-2 against him having two more breaks of 53 and 60 points.